The main focus of this update is the Temple of Atzoatl, the jewel of the Vaal Empire, which reigned over Wraeclast a thousand years ago. It's rumored to be filled with the treasures of the Vaal, which have been lost to the ages. Players will team up with a relic hunter named Alva Valai, who will send them back to when the temple was first being constructed a millennium ago. These time-traveling jaunts are called incursions. When Valai sends you back in time, she'll present you with a randomized layout of the temple, arranged like a pyramid of rooms with various connections. Each incursion will send you to a different room, and you'll have to make "around 11" - a number Wilson said was in flux - incursions into the past to pinpoint the location of the temple in the modern day. Once in an incursion, you'll have 10 seconds to murder as many baddies as you can. That's not much, but every time you kill one of the ancient Vaal soldiers, you'll get a few more seconds added to your time limit. Wilson called it "very similar to the Breach League," which you'll recall had players chasing a crack in the ground to kill the monsters that spawned along it as quickly as possible. That's pretty basic PoE - kill stuff quickly, get loot just as quickly. But there has to be a greater point to it, right? That's where the map of the temple's design comes into play. By taking certain actions in the past during an incursion, you can change the nature and the layout of the temple in the present, "like any good time-travel story," Wilson said. In all, there are about 70 different temple rooms in total, so you never know what you're going to get every time one is generated. You can find a key during an incursion that lets you create new links between rooms, though you won't be able to go through right away. "That means that if there are some especially valuable rooms that aren't connected, it's going to be your priority to connect those rooms," Wilson said. And what determines how valuable a room is? That's tied to rooms' basic design, which is influenced by the architects who built them in the past. Each room has two. In some, one of the architects is dominant when a room is generated. Kill him, and the other architect takes over and changes the nature of the room, say from lightning to fire. Kill the fire architect in a room that's already lightning-influenced, however, and the lightning architect upgrades the tier of the room, making it more difficult but offering greater rewards. In some rooms, neither architect is dominant at the start, and killing one grants the other power over the room. 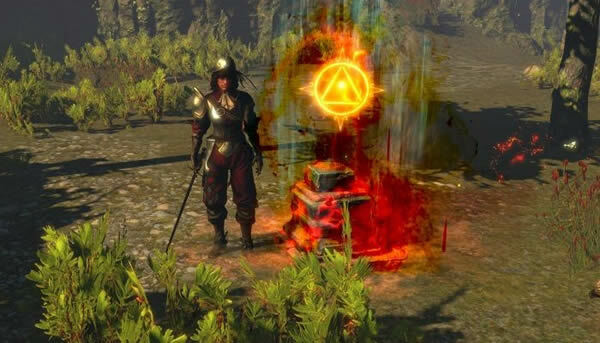 We will update the news about Path of Exile in real time, if you don't want to be left behind in the game just because of lack of orbs, please keeping an eye on poe currency buy.